Feng Shui, the ancient Chinese practice of creating harmony and balance with one's environment, is a popular design in homes. 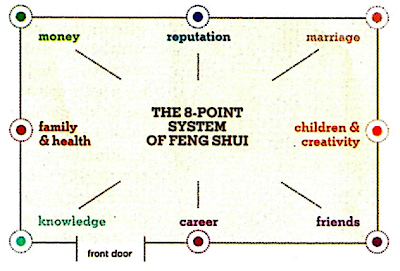 Most people practice feng shui to create positive energy called ch'i. I love positivity so I thought I would see how we did in our space. 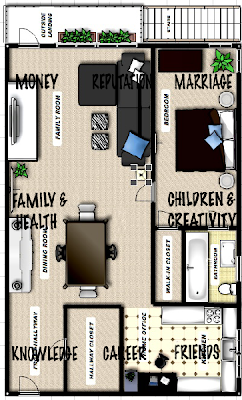 As I read through the descriptions, I noticed there were some feng shui practices perfect for small space dwellers. 0 Responses to "SMALL SPACE HARMONY: Feng Shui"